Checking back in on my favorite new restaurant of last year Covina, which now has my favorite new happy hour! 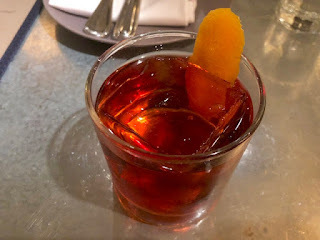 On the list wine, beer and cocktails that you actually want at happy hour like Tito's Vodka Tonic, Fernet & Coke and my current favorite the classic Negroni. 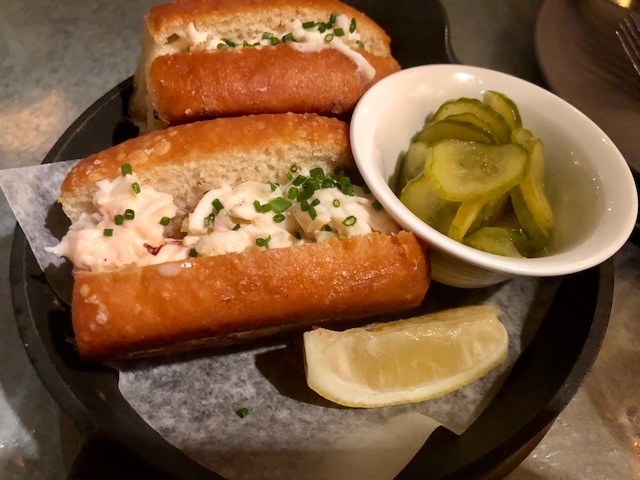 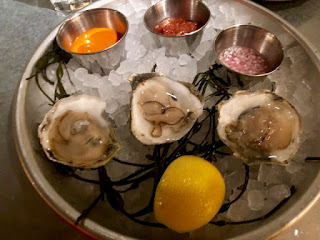 ...with heartier fare like their signature Wagyu Burger in four oz size and the cutest Little Lobster Rolls in the city served two to an order with a side of pickles for just $15.